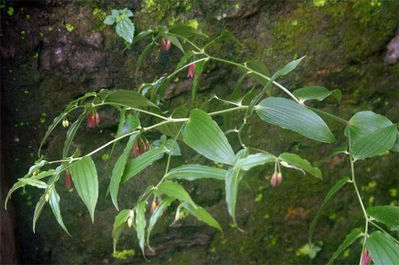 This highly branched rhizomatic plant grows upto 4 feet high originates from the eastern Himalayas. The deep purple to violet coloured flowers are produced below the leaf canopy. Flowers during summers. Leaves very ornamental too.